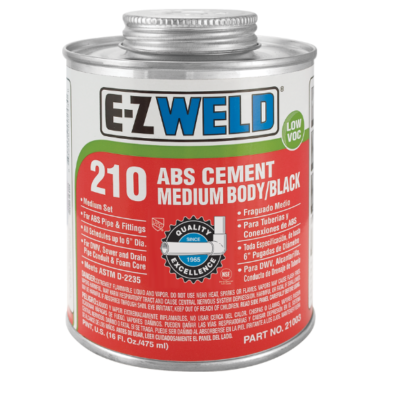 This is medium bodied, medium set ABS Solvent Cement. It is formulated for use on ABS pipe and fittings only. This cement has good gap filling properties for pipes and fittings up to 6“ diameters, all schedules. It provides consistently strong joint if used correctly. 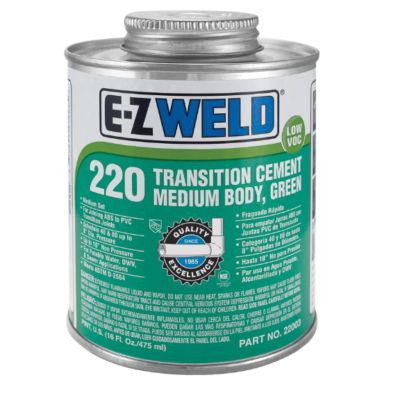 Transition Cement is a medium bodied, fast set PVC Solvent Cement. This cement is formulated for use on non-pressure transition joints between ABS and PVC/uPVC pipes and fittings.